The Bottom Feeders road to being the 6th most-listened-to podcast talk show in Osseo, WI began on the bathroom floor at an unnamed bar after too many Natty Lights. Chris and Chad walked out on their tab and right into studio to bring you the most bizarre news stories, guest interviews, and drunken anecdotes every week. 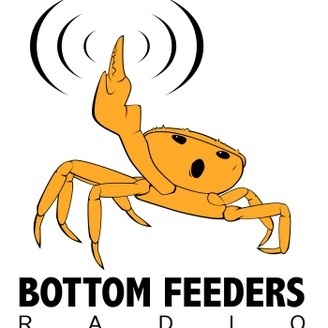 So ignore the moldy dishes in the sink for another hour and turn up your stereo for The Bottom Feeders Radio Program. recorded immediately after our dress rehersal of our BOTTOM FEEDERS LIVE at Fish Head Cantina in Baltimore MD, this episode features guests, 'Psycho' Mike Goldberg & comedians Marcus Brown & Haywood Turnipseed, Jr. A stunning non-annoucement by Chris opens the show & then it's business as usual! 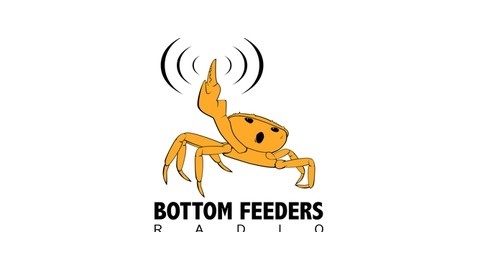 Remember, BOTTOM FEEDERS LIVE - Thursday, June 18th at Fish Head Cantina in Baltimore MD!